We have 45 minutes for scary snacks and spooky activities at my daughter’s kindergarten Halloween party next week. I offered to provide the super speedy activity for the kids. This is a Halloween activity I have used before. It does not require a whole lot of precision and works well for nursery school or kindergarten children. 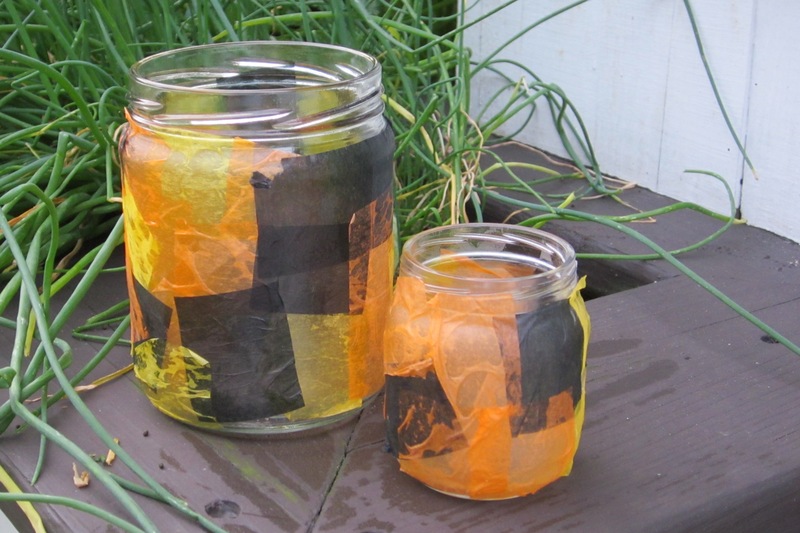 What are other short and simple Halloween activities that will work at school parties? Mix Elmer’s glue with a little water on the paper plates. 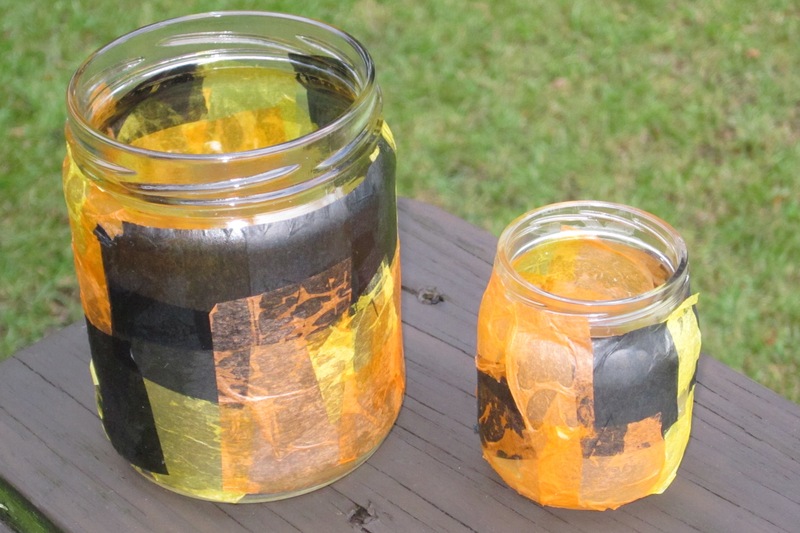 Children paint a portion of the side of the jar with the diluted glue. Press pieces of tissue onto the jar and smooth down. If needed, paint a little glue on top of the tissue pieces. Repeat until the whole jar is covered. 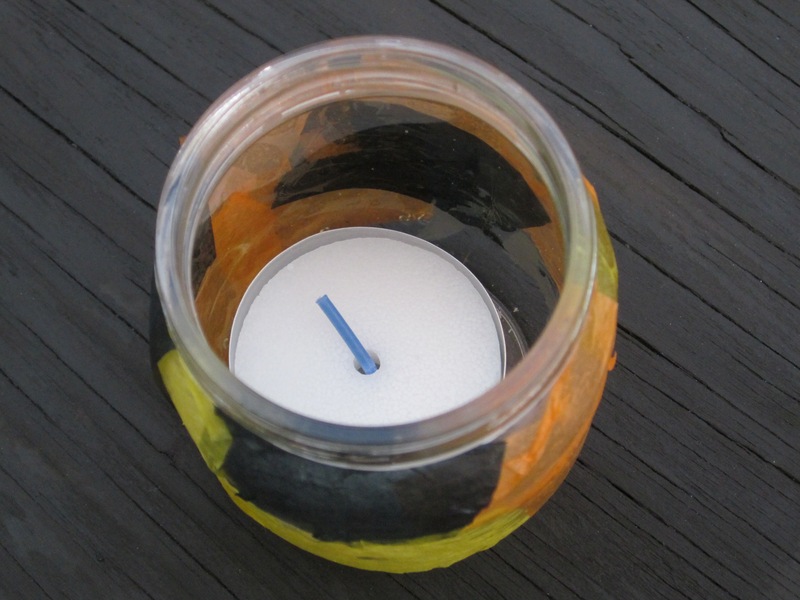 Let dry and place tealight inside jar and light for a spooky votive. You can use any size glass jar. I really like the Beach-Nut baby food jars, but I did not know any families this year who might be buying baby food on a regular basis and would have a supply of 20+ jars for the class. If you want these to look more professional, I think you could use Mod Podge or Diamond Glaze to give the jars a more finished look. Use this activity at Christmas or Valentine’s Day as well. Just change out the tissue paper colors. Would also be a great candy jar filled with candy corns (or conversation hearts or red and green M&Ms)! 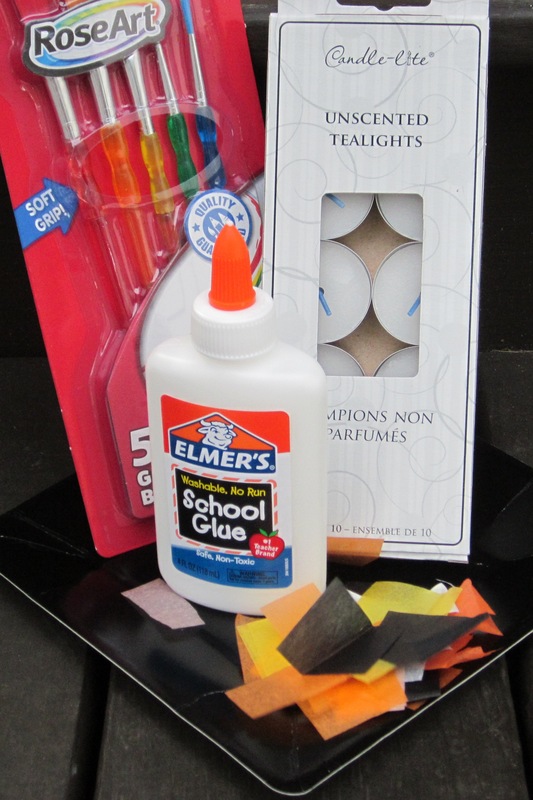 Keep the lids, cut a circle of felt and glue down on the lid–maybe even a ribbon around the edge or tied in a bow.